Proceeds benefit the WM3 Freedom Fund. August 19th marks the one-year anniversary of the release of the West Memphis Three, three men who were controversially convicted as teenagers in 1994 for the murder of three young boys. About a year before Jessie Misskelley, Charles Baldwin, and Damien Echols gained their freedom, Eddie Vedder from Pearl Jam and Natalie Maines from the Dixie Chicks joined forces onstage at the West Memphis Three Rally in Little Rock, Arkansas. 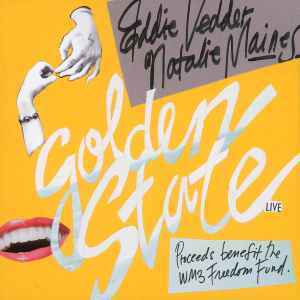 On this new track, Vedder and Maines cover the John Doe song "Golden State," a Vedder favorite, in the spirit of freedom.